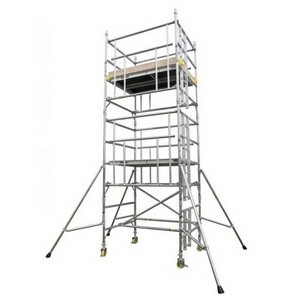 New to the hire fleet is the next generation in the BOSS scaffold system. 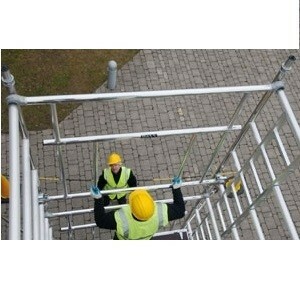 Using the same components as the original BOSS tower system the AGR adds guard rail panels to the side of the scaffold and removes virtually all of the braces on all sizes of scaffold. Not only do you have less components to carry around there is also less opportunity for braces to get lost or damaged. 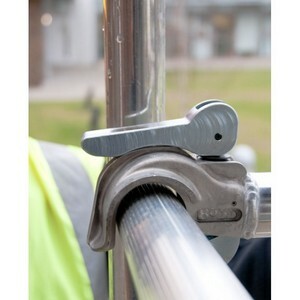 With all the these advantages it is now becoming the standard scaffold system and as an added bonus it's quicker to erect and take down. As with the original BOSS system all the same dimensions are available.